The device can maintain and adjust the heart rate according to the physiological needs. Symptoms related to slow heart rate such as dizziness, syncope or poor exercise tolerance can be effectively relieved by the pacemaker. For more than 20 years, it has been the standard treatment for patients with slow heart rate. 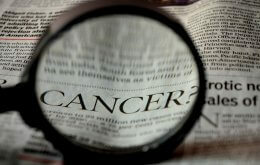 It is estimated that around 15,000 patients had pacemakers and new implants are up to 1,300 per year in Hong Kong. In recent years, several large scale studies have shown that pacing in the right ventricle may lead to worsening of function in the most important chamber of the heart, the left ventricle (the heart chamber responsible for pumping blood to all major organs). This will result in chamber enlargement, deterioration of pump function and eventually development of heart failure and increase in mortality. A previous study observed that 26% of patients received right ventricular pacing had developed heart failure during long-term follow up. Furthermore, different studies had estimated that right ventricular pacing increased the risk of heart failure or mortality by 1.6-3.5 folds. The high risk group which may develop heart failure includes the elderly, pre-existing cardiac dysfunction or ischemic heart disease, and those require high percentage of right ventricular pacing, e.g. heart block. The potential mechanism of right ventricular pacing leading to heart failure may be related to abnormal electrical activation of such pacing which leads to uncoordinated contraction in the left ventricle. Researchers are looking for novel pacing methods to lower the risk of heart failure development in those with pacing indications. 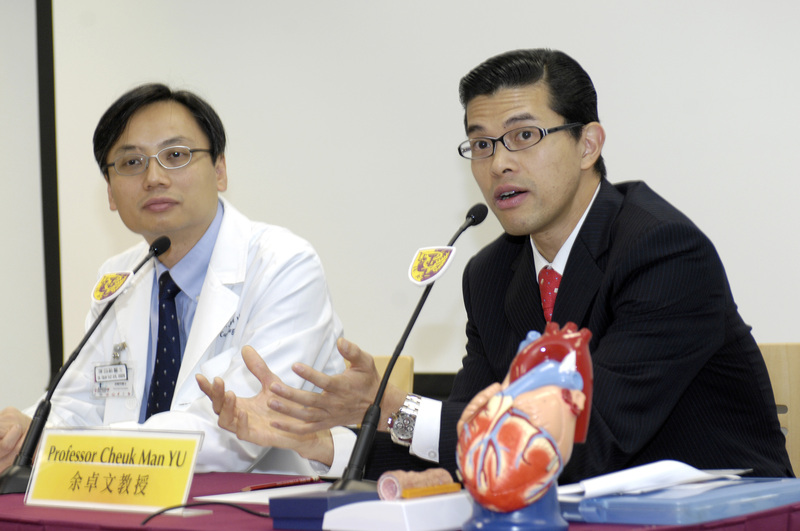 Prof. Yu Cheuk-Man, Head of Division of Cardiology, Department of Medicine and Therapeutics, and Director (Clinical Sciences) of Institute of Vascular Medicine at The Chinese University of Hong Kong (CUHK) has conducted a clinical trial from 2005 to 2009 to test whether the novel biventricular pacing can prevent the adverse effect of right ventricular pacing. In this Pacing to Avoid Cardiac Enlargement (PACE) study, 177 patients with pacing needs were randomized to either biventricular or right ventricular pacing. After one year of follow up, patients received right ventricular pacing showed significant deterioration of left ventricular pump function and had adverse chamber enlargement by 25%. Such adverse effects were prevented by the use of biventricular pacing. The result of the PACE study implicates the use of this new pacing method to prevent the development of future heart failure. Being the first clinical trial of its kind in the world, the study was recently announced in the American Heart Association Annual Scientific Meeting in Orlando, USA in November and published in the November issue of the New England Journal of Medicine. 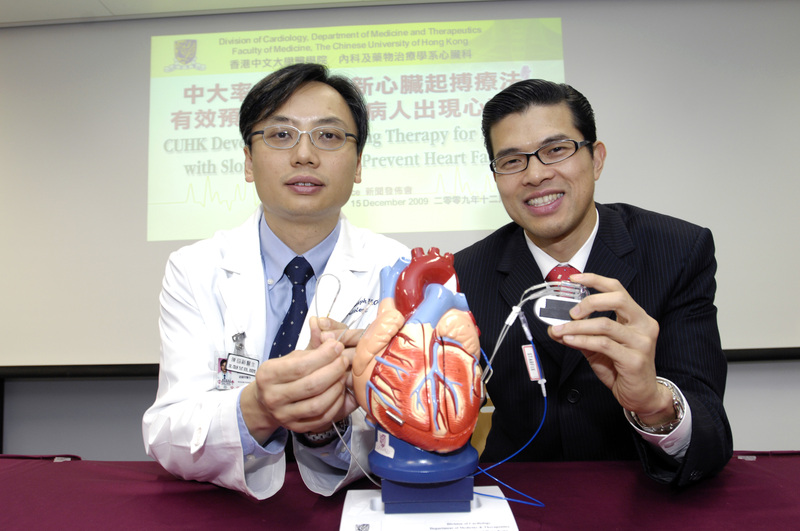 CUHK concludes that the encouraging results from PACE study may revolutionize current clinical practice to implant biventricular pacemaker instead of right ventricular pacing, especially to those at risk of developing heart failure.